The cave search party grows after another night of rain. 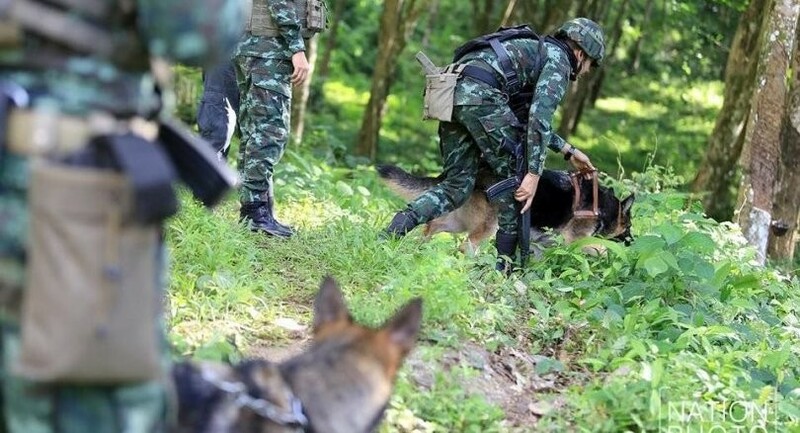 Police sniffer dogs have now joined the rescue workers and Border Patrol police looking for access ways to the cave from the mountaintop above. The number of personnel and sniffer dogs involved in the search has reached 650. 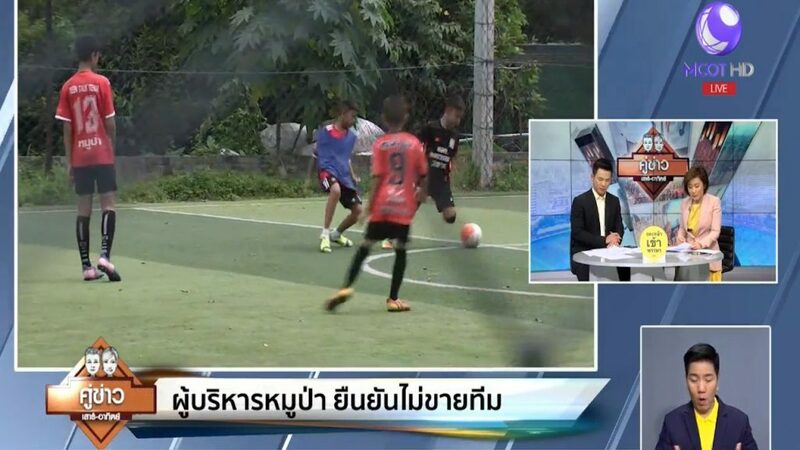 The search for 12 young footballers and their assistant coach trapped in a Chiang Rai cave resumed the morning (Thursday) following a night of heavy rainfall that only made conditions worse. 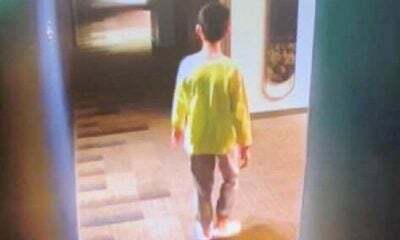 Three “breathing holes” and two “manholes” found atop the cave earlier were too narrow to allow access, a source on the rescue team said. The plan is to lower a heat-detection device that would identify likely human presence, the source said. 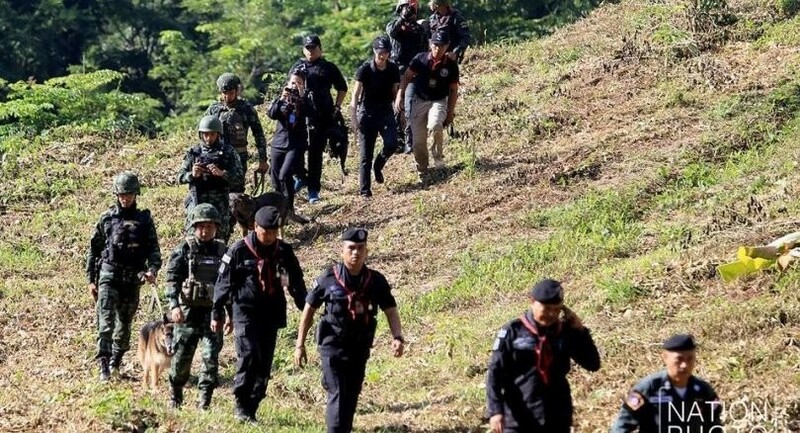 National police deputy chief Pol General Weerachai Songmetta said today’s hunt will focus on the area leading towards Doi Pha Mee, which sits above the rightward channel of the cave’s main three-way intersection. 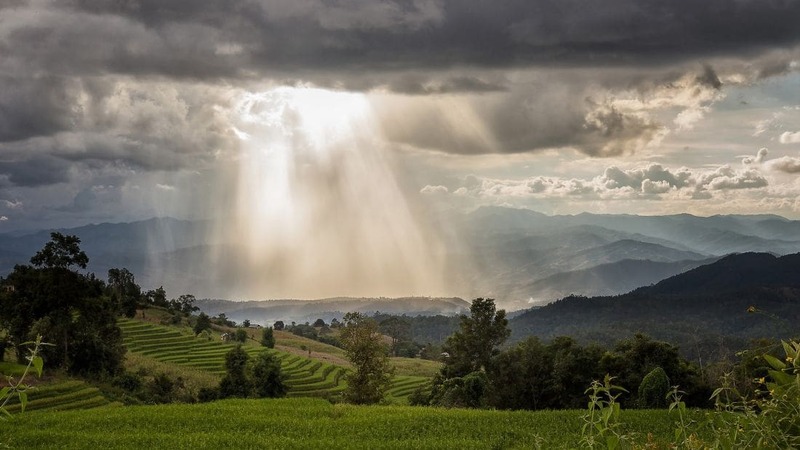 It’s suspected there are several chambers ranging in height from 10-60 metres where the lost party is waiting for help, and that passages might rise from these chambers to the top of the mountain. Another team is searching atop the cave around Khao Nang Non to the northeast, Weerachai said. 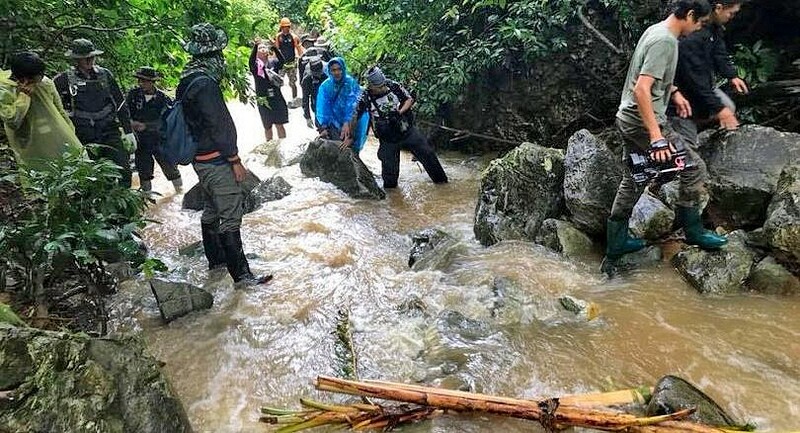 Naval Special Warfare Command chief Apakorn Yukongkaew, who led SEALS divers in the search inside the cave, said floodwaters had risen to the cave entrance, posing a major obstacle. Park officials have closed the forest park to tourists.